The staff, students and community at Adamsdale Public School promote high standards for all students. Academic, athletics and character education are all part of our philosophy. 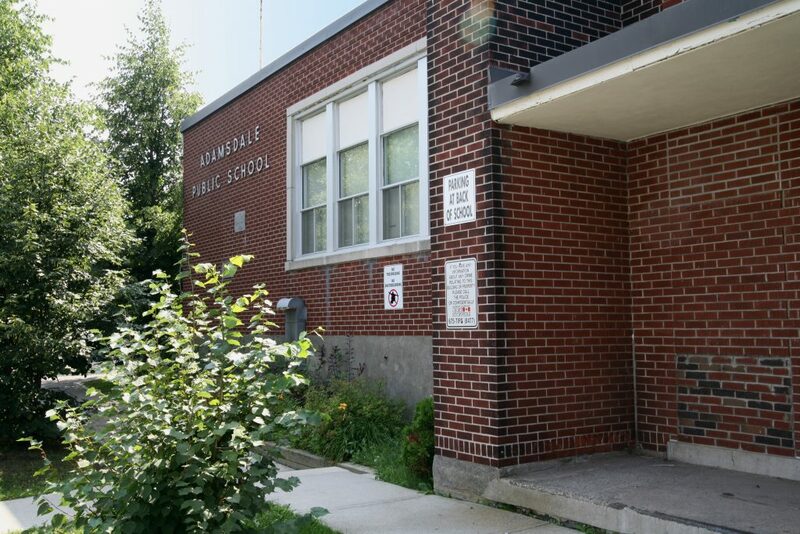 Adamsdale Public School was named a “School On The Move” by the Literacy and Numeracy Secretariat in recognition of our use of research-based strategies to support continuous improvement in student achievement. In 2010, Adamsdale Public School was the recipient of the Board’s Go Green Globe Award for its contributions to sustainability and for its ability to think globally, while acting locally. Adamsdale Public School has a very active Me to We Club. Students recycle drink pouches and used batteries, collect milk bags for rugs for Haiti, promote litter-less lunches, participate in an annual community cleanup and volunteer at the Sudbury Food Bank. Each year, the Me to We Club chooses a charity to allocate their fundraising efforts to. Since 2009 they have reached their target every year. The charities they have donated to include the SPCA, the Neonatal Intensive Care Unit at Health Sciences North, a well to be built in Africa, to Jacquie Villeneuve for her orphange in Africa and Wild at Heart. Exceptional learners are provided with educational programming in a self-contained classroom. The special education self-contained teacher is responsible for the development and implementation of the Individual Education Plan and plans integration opportunities in collaboration with the regular classroom teacher or community partners. In most cases an alternative curriculum is offered. Adamsdale offers the English Program which includes Core French and Ojibwe. The school is focused on the development of knowledge, attitudes and skills that children need to be contributing, confident members of their community. Our school fosters respect for cultural and gender diversity, equality, personal independence and social responsibility. We focus on teaching students the importance of responsibility, tolerance, friendship, respect and good manners. We also participate in Roots of Empathy which teaches children emotional literacy and empathy, when the program is available. Adamsdale Public School hosts the YMCA before and after school daycare program. We service families from the following geographic locations: the Kingsway, Lake Ramsey South, Howey Drive and Bancroft Drive. Our School Council is an active and positive force in the community. Reading and best efforts of students are supported by community partners in many ways. Dedicated staff and volunteers operate the Breakfast Program and the Fresh Fruit program daily at the school. The staff is a cohesive, friendly and caring group who work cooperatively to promote a positive learning environment. We also have strong partnerships with Our Children Our Future and the Minnow Lake Best Start Hub who organize a number of programs and activities within our schools. Not-for-profit groups can use our facilities for free. Through the Priority Schools Initiative funding covers the cost of keeping the schools open after hours and on weekends, seven days a week, all year long. This is good news for you and, more importantly, for the children and adults of our community who may benefit from the services that you provide. Looking for child care at Adamsdale Public School?